This dramatic geometric design, which resembles a mosaic tile, was originally developed as a class on counted borders. 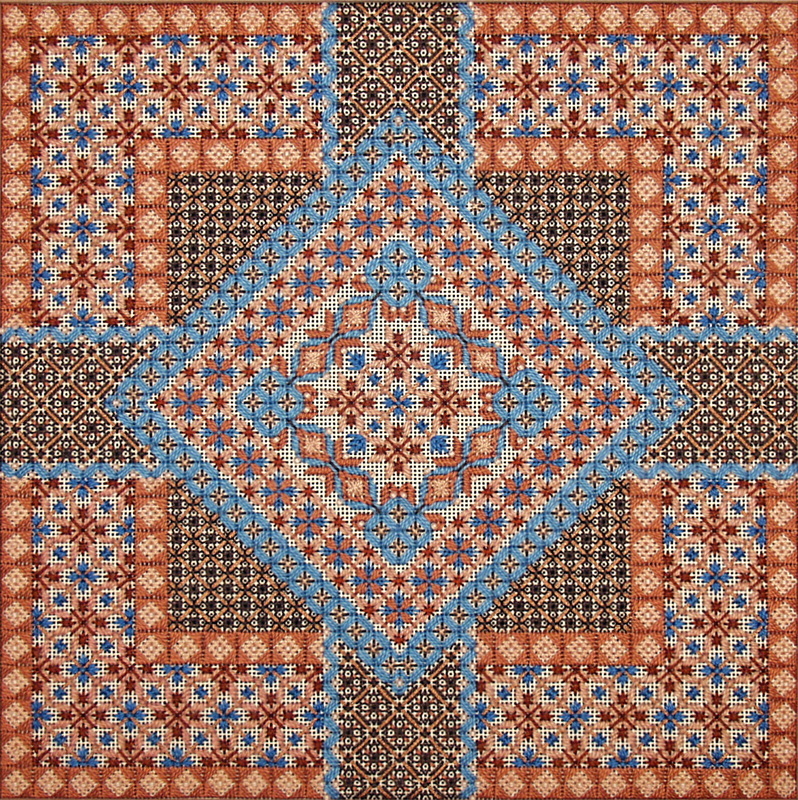 Three diamond borders and one square border are arranged with a square mat, intersecting bands, and a center medallion to form an interesting composition. Any two colors may be used to interpret this design as long as similar values are substituted, and the ones in the model were coordinated with a soft overdyed thread that is used in the two dominant borders. In addition to presenting interesting ways to plan borders and corner motifs, there are suggestions for handling color, compensation and scale in order to unify any border or "finishing touch" with an interior design. All of the borders presented are original arrangements that use open composite patterns, and the techniques used include couching and blackwork accents as well as some unusual canvas stitches. optional, but its sheen and lighter weight adds a nice highlight to one border.